Included in this Georgetown Gilbert & Bennett History section is information I have gathered from a number of resources to give you as much information as possible on the amazing history of the Gilbert and Bennett Factory. More information will be added as I find it. Former G&B Employees looking for Pension information, click here. View the latest news on Gilbert & Bennett's Redevelopment Project. Benjamin Gilbert, born in 1788, learned the trades of a tanner, currier, and shoemaker in his youth. Shortly after the birth of his daughter Charlotte in 1812, he went into business for himself as a tanner/currier/shoemaker. Note: The job of tanning animal skins started out with cutting off any worthless ends and then splitting the hide in half (to make it easier to handle). The hide would be soaked in water with some lime added to it to "burn" the top hair-bearing layers of skin off. The hide was then removed from the soaking vat and spread across a "beam", which was usually just a section of log. The curved surface of the beam would ensure that the knives (used to scrape away any remaining hair) would not encounter a sharp edge underneath the hide and accidentally rip into it. The fleshy side of the hide would also be scraped in order to remove any fat and tissue. The thoroughly scraped hide would be returned to a vat for more soaking and washing to get rid of the last of the "under skin" which is a layer that is fibrous and permeated with a gelatin substance. The tanner carefully added tannin made from tree bark to this final soaking vat. The tannin would slowly combine with any trace of the gelatinous underskirt and the chemical process that followed resulted in the leather becoming tough and hardened. The tanner's job required an experienced knowledge of how much tannin to add and the speed at which it should be added so that the chemical process did not get out of hand. If too much tannin was added, the leather might harden too much and be worthless; if too little was added, the leather might disintegrate because of any lime that had not washed out in a previous step. The hide, when the tanner felt it was ready, would be hung over drying lines, usually wooden poles whose widths helped to keep the one side of the tanned hide from touching the other. The Currier was the individual who worked in conjunction with the tanner to bring the piece of leather to its final state. The Currier would stretch and burnish the piece of leather until it was a uniform thickness and suppleness. The more the currier burnished the surface with his iron "slicker" or scouring stone, the thinner he stretched it and the softer it became. Any piece of animal skin could eventually be made into shoe or harness leather or bookbinding leather or glove leather according to the care and patience the currier took in his job. Due to the nature of their business tanneries and slaughter houses had an abundance of hair leftover which was simply discarded at the end of the day. At that time, families made their own meal, sifting it from the bran through sieves made of horsehair. Gilbert, perceiving a market, abandoned his tanner business and embarked in the manufacture of these horsehair sieves in 1818. His place of business was the basement of his house and his employees were his wife and daughters who wove the hair while he shaved wooden hoops to form the rims of his sieves. The horsehair sieve market not proving as large as he had anticipated, Mr. Gilbert increased his business by adding the manufacture of curled hair, used for cushions, mattresses, and furniture. The family moved from Weston to Georgetown, after purchasing the William Wakeman farm in 1824. Gilbert invented and put into operation the first machinery ever used in picking hair in 1826. The hair picker separated matted and tangled hair and made them suitable for stuffing mattresses, as well as the cushions for carriages. As a result of this innovation the business grew and a short time later he leased a small part of an old sawmill, moving the business out of his house and into a separate building at last. This first building came to be known as the Red Shop and was later purchased by the company in 1830. Sturges Bennett was admitted into partnership in 1828, forming the firm of Gilbert & Bennett. Two years later Sturges would marry Charlotte, oldest daughter of Benjamin Gilbert. He bought of his father-in-law, land south of the shop and built the house he lived in for nearly fifty years, later owned by Eli G. Bennett. In 1832 Benjamin's eldest son, William J. Gilbert was taken into the firm, forming Gilbert & Bennett & Company. William, was the salesmen who started out with great wagons loaded with goods, going through Connecticut, New York State, and as far West as the "Western Reserve of Ohio" selling the goods and coming back on the home trip stopping at the tanneries and slaughter houses, collecting the horse, cattle and hogs' hair to be made up into the finished product at the Red Shop. William traveled for the company a remarkable period of 50 years. The Red Shop stood on the corner of Rt. 57 and Old Mill Road. As the business grew improvements were made to the shop for efficiency: a three-story addition was built, A mill dam was built across the brook, and a small pond was formed about 100 feet long and 60 feet wide. This supply pond, or reservoir, was and still is located on what is now Sasqua Trail, off Covenant Lane. On the north side of the pond was the road to Weston, lined with rows of willow trees. On the north shore of the reservoir were vats for cleaning, washing and sorting the hog, horse and cattle hair used in the curled hair industry; there were also platforms for drying the hair. Later this work was done in the rear of the shop. The first story of the shop was used for sieve making, and the second for the curled hair business. On the 2nd floor was the hair picking machine and two hair rope twisters. The power was furnished by a wooden overshot water wheel (this was outside the shop on the north side.) The water was carried in a wooden flume from the pond onto the top of the wheel. The gate in the reservoir was opened every morning and shut down at night. After the horse and cattle hair was cleaned it was twisted into ropes, then boiled to set the curl. After drying, it was wound into hanks or bundles, and sold in this form or picked out by hand ready for use in cushions, etc. The longer horsehair was picked out, kept separate from the bundles and woven to form the bottoms for the haircloth flour and gravy sieves. The hair was woven on small frames called looms, into squares a little larger than the sieves they were to cover. Women of the village did this weaving. First by the women in the families of the firm, and later by Mrs. Polly Canfield, Mrs. Ezra Brown, Mrs. Sherman Bennett, Mrs. Matthew Bennett and her daughters (one daughter, Mrs. Waterman Bates, was one of the last ones to weave haircloth in Georgetown,). In making the sieves, thin wooden rims were cut from whitewood planks sawed from logs at Timothy Wakeman's saw mill that stood north of where the upper Gilbert & Bennett Mfg. Co.'s plant now stands, they were then smoothed by hand, steamed, bent into shape and nailed; the hair cloth bottom was then put on and held in place by a narrow hoop or rim, which was fastened on by nailing. The edges of the haircloth were then bound around the sieves with waxed thread. This work was done by women at their homes - it was called binding sieves. Mrs. Aaron Bennett, Mrs. Samuel Main, Mrs. Aaron Osborn, Mrs. Samuel Canfield, Mrs. Burr Bennett, Mrs. Orace Smith and others did this work. The men who worked in the curled hair and sieve industry at the Red Shop were Benjamin Gilbert and his sons William J And Edwin; Edmund O. Hurlbutt, John F. Hurlbutt, William B. Hurlbutt, Aaron Bennett, Sturges Bennett, Isaac Weed (Mr. Weed married Angeline, daughter of Benjamin Gilbert, and built the house opposite the Sturges Bennett place,) Samuel Main, Aaron Osborn. In 1834 the Gilbert & Bennett Co. found that the growing business needed more power than the little millpond furnished and bought the mill site of Winslow and Booth on the Norwalk River. Winslow and Booth ran a comb factory there making combs from cattle horns and tortoise shells in the 1820's. Note: Prior to Winslow and Booth, the mill site was owned by David Coley, an ironworker; he built a dam and shop, installed a wooden watershed, a furnace for smelting iron ore, a trip hammer, and commenced business. Some of the ore was brought from Roxbury and Brookfield and some was taken from the ledge east of where Jessie Burr Fillow lived, on the road from Branchville to Boston district (Peaceable Street). There is a tradition that there was an iron furnace near this ledge before the War of the Revolution. The limestone used in smelting the ore came from Umpawaug hill. Many kinds of iron goods were made, ploughshare points, shovels and irons, cranes, pots and kettles, and ovens. G&B rebuilt the milldam and built the shop long afterward known as the Red Mill. The mill had two stories and a basement. The first floor was used for the curled hair industry using power. In the basement the sieve rims were steamed, bent into shape, and later other work was done there as well. A wooden water wheel was built to furnish power for the mill. All this time, the weaving processes were being accomplished by hand, and the material used was horsehair. Horsehair was at best, unsatisfactory-which caused the company to ask itself: "why couldn't some other material, more durable, more efficient, be substituted?" And not stopping at merely thinking it, they purchased some fine wire and began to experiment. The commercial weaving of wire by hand was impractical and machinery for such a purpose being unheard of, they improvised and borrowed a neighbor's carpet loom and so the first wire cloth came into being. With the weaving of wire cloth, the process of making of cheese and meat safes commenced. Aaron Osborn did this work, assisted by his brother, Eli Osborn. Aaron Osborn created these cheese safes for nearly fifty years. With the introduction of hard coal for fuel, the coal ash sifter or coal riddle was created. Samuel Bennett, Henry Williams and others worked at this branch. Later ox muzzles made from wire were introduced. Most of the men who worked in the Red Mill at this time had worked in the Old Red Shop doing the same kind of work. On Oct. 15, 1835, Benjamin Gilbert deeded to Sturges Bennett and William J Gilbert each a one-third interest in the Red Shop, the land (1/4 of an acre) with the millpond, also rights to the reservoir on the hill. The price paid was $133 for each third. The land was bounded on the north, east and west by the highways, on the south by Sturges Bennett's home lot. In 1836, it was found the light cloth and carpet looms in the village were not heavy enough for wire weaving. A few looms were built and set up on the third floor of the Red Shop. Among those who wove wire cloth at this time were Isaac C. Perry, George Perry, William Perry, Moses Hubbell and his wife Betsy, and probably others. William Perry wove a fine wire cloth, called strainer cloth, used for straining milk and other liquids. At the Red Shop James Byington, Aaron Jelliff, Henry Olmstead and his brother William, Lorenzo Jones, Thomas Pryor, George Gould, Anton Stommell, George Hubbell, and Granville Perry also wove wire cloth. As the business grew, Anson B. Hull was hired as Bookkeeper. The office was on the first floor of the shop; in connection with bookkeeping, he ran a small store. He was with the company for many years. Later he moved to Danbury, where he was freight agent for the D. & N. R.R., until his death. In 1840 Edmund O. Hurlbutt was admitted into the firm - he too married a daughter of Benjamin Gilbert, Mary. He bought land from his father-in-law and built the home long known as the Hurlbutt place located south of the Red Shop on Old Mill Road. In 1844 Edwin Gilbert became a member of the Gilbert & Bennett Co. He, his brother William J. Gilbert and Edmond Hurlbutt, were the company's salesmen. Their selling methods being to load Conestoga wagons and deliver through the country as sales were made. Even without the help of the telegraph or railroad transportation, the sale of Gilbert & Bennett goods spread throughout the South and as far West as the Western reserve of Ohio. In 1847, Benjamin Gilbert, the founder of the business, died after an illness of several years that had incapacitated him from active business. Timothy Wakeman's sawmill, with the mill rights and land was purchased in 1848. The sawmill was updated for making sieve frames forming the nucleus of the upper factories. Because of Gilbert and Bennett's rather isolated location, it derived its power not from steam (powered by coal) but from water turbines. Water pressure became a constant with the purchase and control of Great Pond, a reservoir located 5.27 miles northwest of the mill on the Norwalk River at the Ridgefield-Redding town line in that same year. A Quote from 1893 on the Great Pond Dam: "This dam is said to be one of the very best constructed pieces of work of the kind in New England." The business at the time was still based on sieves and curled hair. Additional space could not go to waste, so in the year 1850, the manufacture of glue was added to further expand the company. The existing glue manufacturing process was studied by the company and found to have several disadvantages. They found that because glue was being dried on cotton netting some of it adhered to the fabric, this was a waste and led to higher costs. Another disadvantage was that the glue itself would contain bits of cotton, which interfered with its adhesive quality. They resolved these problems by manufacturing wire netting upon which the glue would be dried. When the glue dried, it could be separated from the wire netting with little difficulty, and as a result revolutionized the glue-drying process across America. In 1852 a store was opened by the firm in New York City, in which George H. Brown began his connection with the company in 1859. He was manager for many years and a director from 1894 up to the time of his retirement in 1903. In 1853 David H. Miller of New York City entered the employ of the Gilbert & Bennett Co. as bookkeeper in New York City. A short time later he would come to work at the Georgetown factory. He brought in fresh ideas and new ways of working which greatly increased the efficiency of the company. The Rapid growth of the Gilbert & Bennett Co. continued with Edwin Gilbert as salesman and Charles Olmstead running one of the freight wagons. With the building of the D. & N. R. R. in 1852, the freight wagons were taken off one after another and the railroad did all the carrying of goods. One of these old freight wagons was used as late as 1864 carting materials between the factory and the depot. Edmund O. Hurlbutt withdrew from the firm in 1860. With the building of new factories the various branches of the industry were moved out of the old Red Shop, until only the wire weaving was left. In 1861, Eli G. Bennett opened a dry goods and grocery store on the first floor of the Red Shop. The business grew until the whole floor was occupied, and a large amount of business was done. In the year 1861, the Civil War broke out. A number of Gilbert & Bennett men answered the call to colors-among them David H. Miller, who won honors and the title of Major during the Rebellion, and was destined to, in later life, head the company. As a result of the Civil War Gilbert and Bennett's southern sieve and carriage cushion markets had been shut off. There was a large amount of woven wire on hand as a result but an inventive employee changed that quickly when he decided to give the sieve wire a coat of protective paint and offer it for sale as a window screen. These proved to be a vast improvement over cheesecloth, which had previously been used for this purpose and due to the popularity of the invention, shifted the mill's capacity to the manufacture of these insect window screens. The metal screen industry was born. 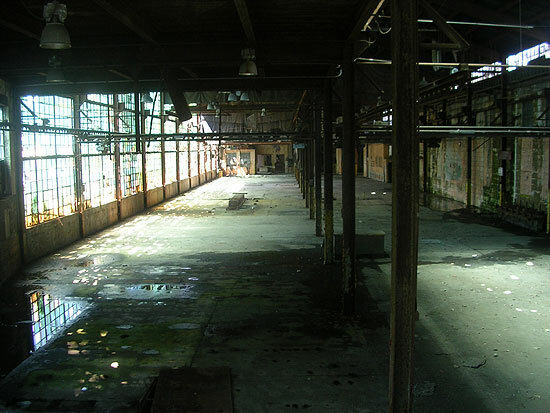 A wire mill was built on the lower factory property in 1863 to provide "facilities for drawing iron wire." Prior to this, Gilbert and Bennett had purchased iron wire from a mill in Worcester, Massachusetts. Distribution was becoming more accessible, rail and water shipping and transportation facilities were rapidly extending their scope and the telegraph was shortening the distance between manufacturer and purchaser. The industry was changing too as wholesalers were tightening the link between making goods and selling them. So, expanding as rapidly as their needs justified, Gilbert & Bennett & Co. added new buildings and equipment in 1865 installing the first power machinery ever used in the United States for making galvanized wire poultry netting on power twisters. Thus the tradition of innovation continued as Gilbert & Bennett became the first in the country to manufacture and market galvanized wire cloth. This soon replaced the plain iron wire cloth, which until that time had been carried in stock by all hardware dealers. For many years they manufactured all the poultry netting made in the United States. This was not a large amount at the time, for the manufacturing was but a small part of the transaction as their customers had to be educated on its use. Gilbert & Bennett with perfect confidence in their goods continued to push them and the limited field at the time expanded to cover every part of the United States. In 1869 Sturges Bennett who now owned the property had the Old Red Shop torn down and built in its place the store known for many years as Connery's store (This business was sold to Michael Connery in 1882.). The timbers of the Old Red Shop were bought by Anton Stommell, who used them in building his house on the street running east from the Weston road, which is now Highland Avenue. While the store was being built, Eli G. Bennett carried on the business in the old wagon shop next door. The grocery store on the first floor and the dry goods on the second. This building was later sold to Charles Osborn who moved it farther north and used it for a meat market. The second floor was used by the Masons for a lodge room. This building was later lost in a fire. A fire destroyed the upper plant on Sunday May 11, 1874. Just at the sun rising, the cry of "fire" startled the village, and the latest, most complete and most valuable of the factory buildings was found to be on fire. There was no fire apparatus with which to fight the flames, and the company's officials and the throngs of men, women and children that quickly gathered could do nothing but look on while building after building with its intricate and costly machinery was reduced to ashes. In an hour and twenty minutes the buildings were destroyed. Damage amounted to $200,000 for which the mill had $40,000 of insurance. The decisions that were made in rebuilding the properties insured Gilbert and Bennett's success for generations to come. One of those decisions was to lobby the Danbury and Norwalk Railroad to run a line into the mill. The Danbury and Norwalk Railroad traveled through Georgetown as early as 1852, but it was during the 1874 reconstruction that the railroad was convinced to run a spur line into the mill property. The track that came into the mill, branched off from the railway just before the Georgetown Train Station where Miller Hall stood, two team tracks split to the left, one lead to the back of Georgetown Station and the other extended further to the road. The main track split in two, where it joining again in the factory. In addition to Miller's Hall, two small sheds also stood, one of which was a coal shed. The spur lines enabled the company to ship and receive material more efficiently, and reduce the manpower required in the process. Another successful decision was the incorporation of the company. Gilbert and Bennett was reorganized as a joint stock company on May 30, 1874 and the machinery that adorned the new buildings was the newest and best available. The mill was opened and operating within the year. The officers of the corporation were: Sturges Bennett, President William W. Beers, Treasurer David H. Miller, Secretary The above officers, with Edwin Gilbert and William J. Gilbert, comprised the board of directors. William W. Beers was later made president of the company, serving in that capacity from 1876 until his death in 1879. The newly incorporated company went into the field with a vigor, which within a few years multiplied their sales and output many times over. About this time Bessemer steel replaced the iron wire of earlier days. The increased facilities of the wire mills enabled the company to handle and draw the steel and all such wire used in their manufacture. Bronze, copper, and brass wire were drawn for use in their goods as well. In 1875 a corporate office was constructed on the upper factory property. The corporate headquarters building was a novelty in construction- the framework inside and out is stapled wire cloth (called wire lathing) in place of the usual wood lathing and sheathing. On the outside is laid cement made to imitate stone and on the inside is the usual plaster. They noted- "this style of construction is not only a novelty but a perfect success" in their "Wire Wonders" publication of 1893. *An interesting side note to this building location is that when the Gilbert & Bennett Co bought of Timothy Wakeman his sawmill, with the mill rights and land in 1848, they also bought the old Baptist church, remodeling it into a dwelling. In 1875, the old church was torn down to make room for new buildings. Historian Wilbur F. Thompson assisted in the remodeling. Thompson notes that: some of the timbers were found to be shattered by the explosion of 1838. In the old Baptist church record we find the following statements regarding the explosion: "Nov. 26, 1838, the Rev. Nathaniel Colver lectured in our meeting house on slavery (against it), and was disturbed by unruly persons: Nov. 27, 1838, another lecture, disturbed as before; Nov. 28, 1838, our meeting house blown up but not entirely destroyed. The Old Gilbert & Bennett Mfg. Co. office stood on the site of the old church, and great factory buildings cover the old church lot. William J. Gilbert would serve as President from 1880 until his death in 1884. A member of the company for 52 years. His brother, Edwin, was elected as President in 1884. In 1885, a Chicago store was opened which would carry the first complete stock of galvanized wire cloth ever carried in that city. By 1887, the wire industry had finally come of age and the increase of business taxed their factory capacities to the point that the glue and curled hair departments had to be sold off (sold to J.P. Gage Manufacturing Co of New York). From that point forward, the factory was devoted to wire fabrics exclusively. In that same year the company seeing the possibilities of the western field, opened a plant in Chicago, the starting point of the second group of Gilbert & Bennett factories. On May 10, 1889 the Old Red Mill was destroyed by fire and a new mill was built in its place*. The Red Mill was being used strictly for the drawing of fine wire, tinning and galvanizing wire in its later years. Note: The new mill mentioned has not been found in any documents or photographs. In discussing the Old Red Mill location with Grover Foote, who lived on Old Mill Road from 1930 to 1950, he mentioned, "There used to be a tall chimney standing near the dam. I watched them knock it down about 1941/1942." If the Mill was in fact rebuilt, it was lost to fire again at some point before the 1940's. "The fencing of the whole tract I estimate at 30 miles. I purchased of the Gilbert and Bennett Mfg. Co., a sufficient quantity of Mesh wire -- 6 feet wide, to stretch 15 miles. For this I paid 9 cents per running foot." In 1891 a factory was built in Chicago, but was later sold when a plant was purchased from Henry E. Southwell (formerly Chicago Wire and Spring, co.) in Wireton/Blue Island, Illinois for $80,000. This plant grew into a large and flourishing institution supplying the needs of thousands of western wire users. The Wireton/Blue Island factories were as near duplications of the ideal conditions of the Georgetown mills as was commercially possible. Balloon flytraps, mouse and animal traps, and flowerpot stands are added to the production line. Gilbert & Bennett celebrated its first 75 years at the 1893 World's Fair in Chicago, in which the company was an exhibitor. The company supplied 3 miles of woven fencing, which enclosed the fair's railroad platforms, and about 8 acres of netting, which hung under the fair buildings' glass ceiling to prevent shattered glass from falling on people. At this World Fair the company exhibited: Gold, Silver, Aluminum, Brass, Copper, Galvanized and "Pearl Wire Cloth, Galvanized Netting, Wire Fencing, Gates, Ornamental Wire Work, G&B's system of Fireproofing, Stable fixtures, Screens, Home Furnishing Wire Goods, and a sample of the 1st netting made by power machinery and exposed to the open air for 25 years. 300 were employed by G&B- 175 at the Georgetown mills (representing 20% of the wire industry workers in Connecticut), 75 at the Chicago factory and the remainder belonging to the selling and clerical force in 1893. By 1906, the company had grown to employ 600 workers. The growing company attracted many immigrants and Georgetown quickly developed into quite a diverse community. Italian, Polish and Scandinavian neighborhoods were established-in this time period the Polish occupied the company owned housing on Bunker Hill near the lower factory, the Swedish neighborhood was located in the Weston section, the Italian immigrants settled in the Branchville section of Ridgefield. The Irish were spread out all over Georgetown in no set neighborhood. To serve the needs of these people there were quite a few small markets in the area. Connery's and Perry's market were two of the earliest and most popular. Connery's began in 1882 when Michael Connery bought the general store for $240. The price included everything but the dry goods part of the store, which was purchased several years later. Connery's would serve the Georgetown community until 1973. Other markets of note: A&P, Georgetown Market, Kearn's Store, Tankus's Clothing store, Sabillio's market, Hammelscamp's meat market, Perry had another market over by Kearn's store too. In 1906, Edwin Gilbert, son of the founder, died at his vacation home in Crescent City, Florida on February 28th. As a salesman, director, treasurer, and president of the company, he served the company for 62 years. His estate was valued at over one-half million dollars, half of which he left to the community. He left a substantial endowment to the Church, an equal amount to the state Home Missionary Society, and the same amount, the income of which is used for the relief of those who may need it in the place, regardless of church affiliations. He also left one-third as much to the Congregational Church of Wilton, to the Congregational Church of Redding, to the Swedish Congregational Church of Georgetown, to the Methodist Episcopal Church of Georgetown, to the Catholic Church of Georgetown. He willed the 300+ acre Gilbert Farm and $60,000 in company stock to the Connecticut Agricultural College for use as a farm for the instruction of practical agriculture. He also left a good endowment to the Fresh Air Farm, later known as Life's Farm he had founded in the 1890's. Rev. Ursinus O. Mohr, a former pastor of the church and his wife, for most of the time since 1899 were in charge of Fresh Air/Life's Farm which gave a two week outing to about 1200 poor city children every summer. Major David H. Miller became President with the passing of Edwin Gilbert. He joined G&B in 1853 working his way from bookkeeper to director and secretary in 1874, then becoming Secretary and Vice-President in 1880. He held the position of President-Treasurer from 1906 until his death in 1915. He served the company 62 years. Under Major Miller's leadership new buildings were erected on the upper factory property- the new fine wire building and the Georgetown post office were built in 1908. The post office building was leased to the post office in the early 1920's. This building was featured on the cover of the Saturday Evening Post on December 15, 1947. Stevan Dohanos was the artist. It is interesting enough to note that during this time period the elite of Georgetown, almost exclusively people associated with the company, lived in the midst of their workers. As mentioned, ethnic neighborhoods did exist, but employees were encouraged to occupy, or build houses next to the mansions of the managers and officers. And while it would be expected that the workers would live near the factory it was most unusual to find upper-class houses in the same location. Major Miller's son Samuel J. Miller was the next President. He had joined the firm in 1869 as an office boy, and became superintendent, secretary, general manager, director, and vice-president. He served as president until his death in 1936. He was with the company a total of 67 years! The Miller Era was in full swing at G&B. The officers were Charles J. Miller- VP, William H. Hunter-Treasurer, D. Henry Miller-Secretary, David H. Miller-Director, and Louis P. Miller-Superintendent. The company erected a school building for the community in 1916 and deeded it to School District #10. The fine up-to-date building was a model for every school building committee to follow, and was a fitting memorial to those who had the best interests of Georgetown at heart. After a lapse of 100 years, the children of Georgetown and Boston districts attended the same school as Georgetown residents who did not live in the "Wilton section" could apply for and be granted permission to attend. In the 1960's this school was operated by the Wilton School Board, school district #10 was discontinued in 1964. The development of New Street accompanied the building of the school by Gilbert & Bennett in 1916. Only two houses clearly predate the school in this area. They are located on New Street extension and are identical houses of the Folk House style, built in 1913. In 1918 with most of its employees overseas fighting in WW1, the company manufactured 5,000 pounds of wire cloth a day for trench lining, as well as poultry netting for camouflage and screen cloth for gas masks. Gilbert and Bennett installed one of the state's first group life insurance plans for workers employed three months of longer in 1919. The insurer was the Connecticut General Life Insurance, Co. Following World War I the company laid out Portland Avenue in the Redding section of Georgetown on land it owned overlooking the millpond. The street contains a number of duplexes constructed by Gilbert & Bennett after World War II and rented to employees. Interspersed among them are four earlier gable to street house built between 1860 and 1880, also owned by the company that probably served as tenement houses for employees. The 20th century houses in this area utilize two basic plans: square and rectangular. Variety was added by varying the roof treatments of the rectangular houses. The Colonial Revival style duplexes concentrated in the Center of Portland Avenue were built as rental housing between 1920 and 1925. It is not known whether this housing, which seems to be a level suitable for middle management, was rented by this group, or by unskilled workers. The development continued to be used as rental property until December 1947, at which time Gilbert & Bennett sold the entire group of houses. Many of the grantees at this time had Swedish-American surnames. In 1922 the company encouraged its employees to purchase property offering mortgages with interest rates of only 4% per annum after the employee has bought a building lot with his own money. Many employees accepted the offer. The company's business suffered severely after the market crash of 1929. Not only were sales extremely low, but more competitors were after what little business was available. The directors decided that modernization of buildings and equipment was essential to compete profitably on the established product line and to develop new products to beat out competitors. In 1930, recognizing the need to control River Water Pollution, G&B installed one of the first industrial liquid water disposal systems in Connecticut. D. Henry Miller III became the President of the company in 1936. The son of Samuel J. Miller, he joined the company in 1904, was appointed secretary in 1915, and director in 1932. D. Henry passed over his uncle Charles J. Miller whose credentials were seemingly more deserving of the Presidency. Charles J. was the brother of Samuel J.; he joined the firm in 1882, became a director and Western manager in 1904, and had served as first vice-president since 1915. He was chairman until his death in 1953. He served the company for an amazing 71 years! In 1939 the company purchased a fabric welder for producing the first galv-after-light grade welded mesh. This machine ran at double the speed of any welder then in existence. Products from this welder had great success, particularly "Perma Gard", the cage material for fur ranchers and poultry producers, crab pots, machinery guards, wire partitions and fencing. In 1941 the company developed another first, special plastic-coated wire cloth to reinforce the brake linings in cars. This unique design allowed lining manufacturers to run their lining machines at higher speeds and it greatly reduced their scrap loss. As a result G&B earned a major share of the brake lining market. The company also supplied men and materials to the war effort. Very shortly after "Pearl Harbor" production was on a 100% War Priority basis. G&B became the first supplier of camouflage netting. At one time about 125 women were garnishing olive drab cloth to "straight-line" chicken wire. Besides camouflage netting, G&B manufactured hex netting mats for beach landings like Normandy, tow targets for air gunnery training, and galvanized wire for signal corps assault wire and armoring electric cable. Gilbert & Bennett wove a special mesh of nickel wire for the Manhattan Project, which developed the Atomic Bomb in 1944. On February 24, 1946, the Georgetown Fire Company was struck a disastrous blow, when the Fire House and all of our apparatus and equipment were destroyed by fire. The Georgetown Volunteer Fire Company was organized in May of 1928 by a group of men who realized the need for fire protection in the community. The first Fire House was a converted horse barn that was given to the Volunteers by the Gilbert & Bennett Mfg. Co., and the fire fighting apparatus consisted of a Chevrolet Chemical Truck and a Peter Pirsh Pumper. In 1939 the Company acquired a second hand Sayer-Scoville ambulance. By obtaining this ambulance it became among the first volunteer fire companies to provide ambulance service in this area. This ambulance served the community until 1941 when the need was seen for the purchasing of a new Buick ambulance. This disaster of 1946 created the immediate need of not only a new firehouse but equipment and apparatus as well. Through the efforts of the members and the generosity of the people, the Fire Company was, within a few months, able to purchase an Army surplus fire truck. By October of 1946, a new Seagrave pumper was delivered and in July of 1947 a new Buick Ambulance was delivered and on August 4, 1947 the Company held its first meeting in the new firehouse. At the factory in 1947 two new continuous fabric-galvanizing installations were completed for galvanizing hardware cloth, poultry netting and welding fabrics. The following year the electronically controlled Strand Galvanizing Dept. was completed reducing a 3-step process to 1. 1949 brought high-speed reverse twisters 10 times faster than the old style twisters. The company modernized its Blue Island plant in the 1950's and updated its other installations with equipment and products. The public beach at Great Pond was created in 1953 under the stewardship of the late Francis Martin. He raised money and formed the Great Pond Holding Corporation, which got a long-term lease on the property from Gilbert & Bennett and purchased other land around the pond. D. Henry Miller, died in 1954. The Miller Era had ended however the son-in-law of David H. Miller II., John H. Mulliken was appointed President. Mulliken in 1937 became a director and joined the firm in 1941 as the treasurer. He was in charge of the company's modernization program and in 1947 was appointed Vice President and Secretary. For 137 years the Norwalk River served the company well, until Saturday night October 15, 1955. During the preceding 36 hours, almost 13 inches of rain had fallen on the 12 square mile water shed above the millpond. As the water gathered in the valley, it formed a tremendous force that washed out bridges, roads, dams, and rushed through the plant- knocking out windows, doors, tossing freight cars, covering machinery, boilers and stock to a depth of 9 to 10 feet. The Flood of 1955 caused almost $1 million worth of damage to the mill. Despite the destruction, the employees and local contractors joined together for a huge clean up effort and the company reopened two months later. Following the flood plans by the Commissioner of Agriculture and Natural Resources called for several control dams upstream to try and prevent future flood disasters. In 1956 a new 42,000 sq. foot warehouse was completed. This warehouse was expanded by an additional 44,000 sq. feet in 1961, 14,000 sq. feet in 1962, and 12,000 sq. feet in 1963. Business was good! In 1957 G&B introduced its popular self-centering reinforcing mesh, Center-Rite. This welded mesh was the first made with a two-way crimp, which centers itself in the concrete forms used in manufacturing burial vaults, and septic tanks. Triple Pack Hex netting was another first, introduced by G&B in 1958. This proved to be a tremendous boon to hardware dealers to fit the majority of the demands from their customers for less than full rolls of poultry netting. Any length of 25, 50, or 75 feet could be served from one 75-foot roll. In the same year G&B was investigating plastic coatings to prolong the life of their galvanized wire fabrics and approve their appearance. G&B made arrangements with Coatings Engineering Corp. of South Natick, Mass. to install pilot equipment for the experimental plastic coating of wire mesh. The sought after extra life and attractive appearance was accomplished and in 1962 Coating Engineering was welcomed into the G&B family as a wholly owned subsidiary. "I sold Coatings Engineering corporation to G&B in 1962 and served on their Board of Directors and Executive Committees until 1978 when ongoing disputes with then President Caleb Taft resulted in my being demoted and CEC being made a subsidiary rather than an independent corporation. When president Caleb Taft gave me that message I shook his hand, said, "good luck", and walked away. Eighteen days later I bought an abandoned mill building, hung up my pinstripes, put my wingtips, white shirts and ties away and designed and built new machinery to coat wire mesh by a new process to compete with G&B. Six years later, having far outsold G&B in the lobster industry, I attempted a hostile takeover of G&B. Fortunately, I was outbid by the Kuwait people. Fortunately because G&B was making product on antique machinery. I bought the first computer-controlled welders and wire drawing machines and built my new company up to twice the size of G&B in the year I sold Coatings Engineering to G&B. Take a look at www.riverdale.com." Ben Billinger was elected President in 1963. Billinger joined the firm in 1944, was appointed Sales manger in 1948, became director in 1953, and Vice President of Sales in 1954. John H. Mulliken became Chairman of the Board and Chief Executive Officer. May 28, 1964 a dinner was held at Luigi's honoring employees with 35 or more years of continuous service. Top Row- Eric Ericson (35 years), Joe Ellis (35), Eric Swenson (37), Chris Larson (35) Bottom Row- Gus Forsberg (41), Len Taylor (50), Sue Olmstead (46), Joe Therrien (35) Gold wrists were present to all. The heart of Gilbert and Bennett was its employees! They had a great deal of pride and loyalty to the company and community. A quality that is sorely missed in American business today. In 1965 the Clarifier System controlling Water Pollution is enlarged for a second time in ten years to take care of increased production. Approximately 400,000 gallons of water a day are treated at the plant before being returned to the river. 250 tons of lime per year is used to neutralize the wastewaters. In 1968, G&B celebrated its 150th anniversary. Company products are being used in cages, screens, antennas, acoustical tile lining, splints, greenhouses, outdoor furniture, radar/radio reflectors, radar telescopes, filter elements in jet engines, and flight cages in the Washington National and San Diego Zoos. A new building was completed in this year to expand the fabric welding department, since the first welding machine was received in 1941, seven more have been added. Modernization has progressed vigorously since 1941; the company having invested more than $10 million dollars in new buildings and equipment through 1967 is the largest supplier of light grades of Welded Mesh. By 1974 the company has grown to include wire plants in Blue Island, Ill., Toccoa, Ga., and Dunbar, Va., Vinyl coating plants in South Natick and Sudbury, Ma. and wood fencing plants in Scotland Neck, NC., and Carney, Mich. Around this time John H. Mulliken's son Alfred was appointed President. Alfred who had been more involved in the Blue Island plant than the Georgetown plant would serve a short tenor as President. In 1975, union labor strikes caused violent encounters between union workers and "scab" workers in Georgetown. The company had begun to step away from its tradition as owners and employees were no longer "on the same page". The business side of the company began to step away from its tradition as the company entered the 1980's. They were purchased in 1985 by JGH Acquisisions. Paul Goslin was the "G" in JGH. There was "Kuwaiti" money involved although the details are fuzzy, it does seem that they were pretty involved financially though. The company was split into two companies- Gilbert & Bennett Manufacturing Co. and Gilbert & Bennett Limited Partnership. Note: The new venture was said to be financed with Kuwaiti money in an article by Susan Elan of the Fairfield County Advocate in 1990. Also, James M. Knott noted in an email to me: "...Six years later(1984), having far outsold G&B in the lobster industry, I attempted a hostile takeover of G&B. Fortunately, I was outbid by the Kuwait people." (Again I will need to review more information on the sale of 1985 to confirm this). In 1986, odor and emissions problems caused by the wire-coating operation shutdown the plant for more than two months. Local residents had been complaining of nausea, headaches, and nose, throat and eye irritation. In 1987, the Gilbert and Bennett buildings are added to the National Register of Historic Places. The Georgetown Historic District contains 144 buildings and sites, and the G&B factory as well as homes, schools and churches are included in the district. In this same year the company spends over $200,000 on an after-burner system to correct the odor and emission problems of 1986. The company announces plans to move out of Georgetown in the near future. Gilbert and Bennett Manufacturing Company in January of 1988 announces plans to convert its 51-acre wire mill property into a village of homes, shops and offices. Reaction to the redevelopment plan by the local community is reserved but generally favorable, with many favoring the proposed elderly and affordable housing and some concerned about the impact of the development and the increased traffic. 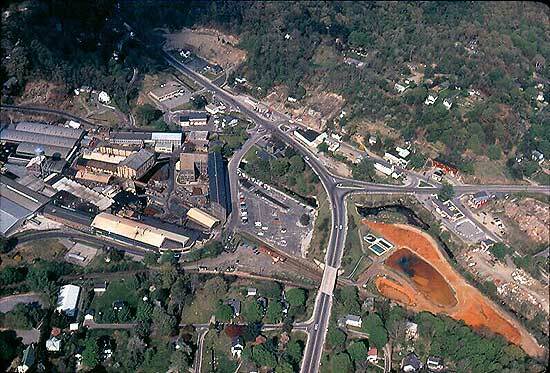 In 1989, the company announces all manufacturing operations will be transferred to Toccoa and other plants citing an increasing financial burden as the reason for ending 171 years of G&B in Georgetown. Georgetown will remain as the company's headquarters for administrative and sales operations. In May, the company began to lay off the 150 employees at the Georgetown plant in stages according to production. The layoffs and gradual transportation of equipment would continue for two months with the last employee let go on August 1st. In July, the EPA fined the company $587,114 for alleged violations of hazardous waste management laws, EPA Regional Administrator Julia Belaga called the fine one of the largest administrative penalties assessed to date in New England for violation of hazardous waste management laws. The EPA's complaint alleged that the company stored and disposed of hazardous waste without the required federal permit. The investors sold the plant and property in Georgetown to the G&B Limited partnership in 1989. The town is star struck as Gilbert and Bennett's wire mill was used in November of 1990 for the filming of some scenes for the Hollywood movie Other People's Money, starring Danny DeVito and Gregory Peck. Many residents line up outside the factory for a chance to be an "extra" in the movie. Problems that would lead to the company's bankruptcy started in 1990 when Iraq invaded Kuwait in 1990 Iraq destroyed all of the Kuwaiti's documents including the G&B deed and mortage info, and all money was frozen- the investors were broke! On November 5, 1998 the company now operating out of Toccoa, Georgia, officially received Chapter 11 bankruptcy protection. As a result of the bankruptcy retired employees, many having served over 40 years with the company, are informed the company has terminated its self-insured medical insurance plan. The battle over these insurance policies still continues today (April 2003). The End: I'm often asked: Why did Gilbert and Bennett leave Georgetown? The best way I can put it is that the nature of business in America changed in the 1970's and 80's. With Merger and Acquisitions becoming very popular across the country in this time period, the focus of businesses owners switched from employees and innovative products to profits and losses. Wire manufacturing was a high volume, low profit business. Just to give you an idea of what I mean by that- in 1955 the company produced 2.6 million miles of wire and only turned a profit of $250,000. Wire manufacturing was competitive too. Before 1955, 35% of the company's business came from foreign markets, by 1960 no business came from foreign markets. G&B was once known for it's loyalty to its employees which cultivated a long history of loyal employees, 35 to 50 years of service was the norm, however, with operations in 5 different locations, and new management that no longer lived and prayed next to its employees...they were simply debits on a spreadsheet. They took a hard look at each location and decided that Georgetown was a financial burden. Pollution at the Georgetown plant was a huge problem and I'm sure the wages were much higher than the other plants. Today, the factory redevelopment plan is underway, North Main St. is now closed and factory buildings of little-to-no historic significance being removed. The new Gilbert-Miller Park was dedicated on June 11, 2006 for all to enjoy now and in the future. By compiling this history it is my hope that others will better understand what Gilbert & Bennett meant to the community of Georgetown and join the fight to save it. By embracing the redevelopment project, we all will be able to enjoy the buildings that remain and allow the history of this great company to live on. The historic significance of Georgetown and Gilbert & Bennett is far too rich to let these properties melt into the landscape. Problems that would begin the company's march to bankruptcy started in 1990 when Iraq invaded Kuwait. According to legend a group of Kuwaiti investors held a large financial interest in the Manufacturing Company at this time period. When Iraq invaded Kuwait they destroyed all of the Kuwaiti's documents including the G&B deed and mortgage information. Bank accounts were also frozen- the Kuwaiti investors were broke! Gilbert and Bennett was in dire straits by 1992 and needing a means of generating more revenue they decided to focus on their steel fencing operations. Gilbert and Bennett had entered the steel fencing market in the late 1960s, by purchasing Utility Products which was a major lawn and garden wire fence producer at the time. Gilbert & Bennett grew the lawn and garden fence post markets from a regional to a national business by persuading hardware wholesalers who sold lightweight fencing for play yards, dog runs and small animal/garden protection to supply lightweight lawn and garden steel fence posts to their regional retailers as well. The first orders were minimal, but gradual acceptance continued for several years. As lightweight lawn and garden wire fencing gained wider acceptance, so did lawn and garden steel fence posts. Steel City, once Utility Products competition, had remained in the picture and continued to gain market share on Gilbert and Bennett. By 1985, Steel City sales of lawn and garden steel fence posts had grown to $3.8 million. The consumer found their lightweight lawn and garden steel fence posts with easy-to-bend holding clips simple to use, and it became the preferred post of the residential customer. The homeowner clearly preferred the user friendly lawn and garden steel fence posts. In 1992, Gilbert & Bennett, decided to take some lawn and garden fencing and fence post tooling machines to China. Their hope was to undercut Steel City's growing market and increase their own profit margins. The equipment Gilbert & Bennett brought to China was located in Huang-Hua City, in the Hebei province. The equipment was sent without controllers so the burners either ran cold or burning hot...no happy medium, which lead to the delivery and quality problems the would experience for 2 years. Despite the long hours and frustrating delays, the Chinese workers were very excited and happy to be working with the American equipment and American workers. After 2 years of problems, Gilbert & Bennett then tried to recall their tooling, only to be rebuffed. The Chinese then became a formidable competitor, taking major accounts from Gilbert & Bennett and Steel City. Their decision to undercut the competition by producing materials in China proved to be a disastrous mistake. Gilbert & Bennett, a $60 million company, was forced into bankruptcy. On November 5, 1998 the company now operating out of Toccoa, Georgia, officially received Chapter 11 bankruptcy protection. As a result of the bankruptcy retired employees, many having served over 40 years with the company, are informed the company has terminated its self-insured medical insurance plan. The battle over these insurance policies still continues today. In the liquidation sale of the company, Gilbert & Bennett looms and other machinery were purchased and sent to China- ouch! On January 12, 1999, the Environmental Protection Agency (EPA) initiated a preliminary assessment/site investigation, which included sampling of the Georgetown lagoons, waste piles, and surface soils. During this investigation, EPA documented the presence of high levels of lead and zinc contamination throughout the site. The Gilbert and Bennett Company transferred it's Great Pond rights to the Town of Ridgefield in 1999 for the whopping fee of $1 in the great Gilbert and Bennett family tradition of giving back to the community. Great Pond reportedly holds 200 million gallons of some of the purest lake water in Connecticut. Its total watershed is about 175 acres and it measures 41.2 feet at its deepest point. The estimated purchase price of the property was $300,000. Development rights were valued at $110,000. Between 9/22/00 and 9/19/01 nearly 3,000 cubic yards of sludge were excavated from within the lagoons and then stabilized with limekiln dust to reduce leaching of lead to groundwater. Approximately 10,000 cubic yards of aboveground soils and sludge also contained elevated levels of lead, but did not require stabilization. All stabilized material was then graded and an interim earthen cap was constructed to prevent direct human contact with contaminated soils and further reduce negative impact to groundwater. The town of Redding has committed to mowing the cap at least once per year. Georgetown, Connecticut: G&B Factory to the left, waste fields to the right. Today, the factory redevelopment plan is underway, North Main St. is now closed and factory buildings of little-to-no historic significance are being removed. The new Gilbert-Miller Park was dedicated on June 11, 2006 for all to enjoy now and in the future. By compiling this history it is my hope that others will better understand what Gilbert & Bennett meant to the community of Georgetown and join the fight to keep its history alive. By embracing the redevelopment project, we all will be able to enjoy the buildings that remain and allow the history of this great company and the community it developed to live on. View this history in pictures. G&B Employees in Georgetown 1976. Learn More About The G&B Factory Redevelopment Project. The History of Redding, Connecticut, 2nd Edition.- Charles Burr. Todd, 1906. Harry L. Colley- Long time resident and employee at the factory (short time-frame). His father, John Colley, was a foreman during the construction of the G&B tenement houses on Portland Ave. in the 1920's. Art Moore- Long time resident and employee at the factory (short time-frame), worked at the Georgetown Post Office as a teenager. Bertil Rosendahl- Long time resident and G&B employee. He worked at the factory for 43 years and his father worked at the factory for 53 years. Cloverdale biodegradable cleaning products The product is a water based surfactant that is petroleum free. It contains quaternary ammonium compound derived from coconuts which is the disinfectant. How one uses Cloverdale depends on the job at hand- it cleans everything inside and outside the house.